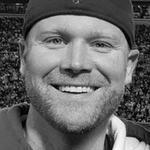 Has anyone created an updated 2019 (current offseason) roster updates for TSB NES? Looking for either help with TSB Manager 2000 or just and updated TSB NES ROM with updated rosters as of the current offseason. 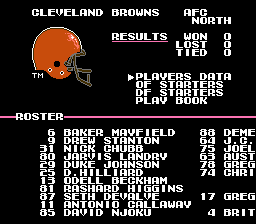 I'm a huge Browns fan and am dying to play TSB NES with OBJ as a Brown. I tried dabbling with TSB Manager 2000 but can't seem to get it working properly. I have updated a file (just added the Browns 2019 players (see attachment), but can't seem to get it imported into a ROM. Can anyone help? Hope you got it going now. Nice, I added just the Browns and Steelers so far. Probably work on the rest of the league too. This reminds me of the old Front Page Sports Football days, adding all the players in the NFL before they had the license. "Let My Play do the Talking"!